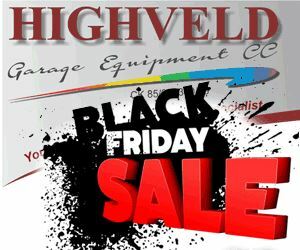 Highveld Garage Equipment hosts Black Friday sale! 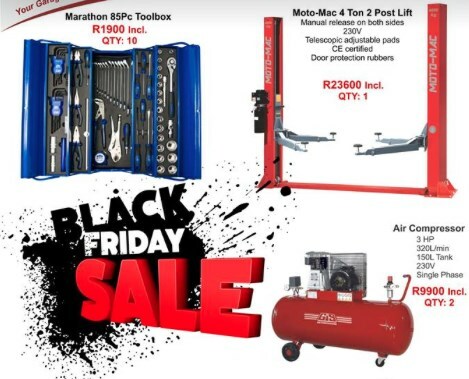 Highveld Garage Equipment in Pretoria has announced that it will be celebrating Black Friday with great specials in store. 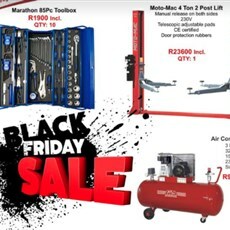 The company has used its Facebook page to give buyers a sneak peak of what is on offer for the limited time offers.